Approximately 12 percent of Canada’s vehicle fleet is estimated to be equipped with ADAS features, with this number expected to rise to 15 percent, or 3.7 million cars, by the end of the year. Among Ontario drivers surveyed by Ipsos, only 29 percent knew that the camera behind their windshield, fundamental to the ADAS’s operation, must be calibrated according to manufacturer requirements after replacing the windshield in order to ensure it works at optimal efficiency and fully performs its safety role. 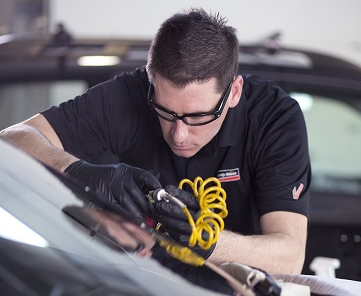 “This new data is a testament to how important it is for everyone in the automotive industry to join forces to better inform and educate motorists about the existence, usefulness, and importance of advanced driver assistance systems, as well as their maintenance requirements,” said Sylvie Leduc, vice president, Brand and Customer Promise at Belron Canada, the parent company to Speedy Glass. ADAS is currently recognized as one of the most recent technological advancements in the automotive industry, with features capable of alerting the driver or taking control of the vehicle in order to increase safety. The most widespread systems include adaptive cruise control, automatic emergency braking, lane departure warning, and lane-keep assist. ADAS applications pick up road signals to optimize driving and minimize the risk of accidents. These systems, with assistance cameras installed on windshields, can significantly reduce the incidence of collisions. According to a study published in 2018 by the American Automotive Association’s (AAA) Foundation for Traffic Saftey, ADAS have the potential to: avoid 36 percent of all road accidents, avoid 35 percent of injuries related to road accidents, and prevent 28 percent of all road accident deaths, saving more than 500 lives every year in Canada alone. “After a windshield replacement, car owners who have their cameras calibrated, according to each manufacturer's requirements by expert technicians using professional tools, contribute to the optimal use of their advanced driver assistance systems’ features. In doing so, they also directly contribute to the safety of all road users—drivers, passengers, pedestrians and cyclists,” adds Sylvie Leduc. The survey conducted by Ipsos gathered information from 1,202 Canadian motorists aged 18 and over, including 291 respondents from Ontario. The survey was open from February 7 to 11, 2019.